Entrust Datacard™ providers can work with you to identify and build the right solution to meet your needs. They positioned around the world to support you from initial system design through installation and testing, training and technical support. Increase safety and security by securing access to patient records, lab results, facilities and restricted areas. Reduce costs by automating access control, eligibility verification, inventory management, patient registration and time and attendance. Confirm patient eligibility for health insurance coverage, pharmacy prescriptions and doctor’s orders. Track every patient interaction with your healthcare network, enabling you to offer special marketing incentives. Make critical patient information securely available to clinicians at the point of care. 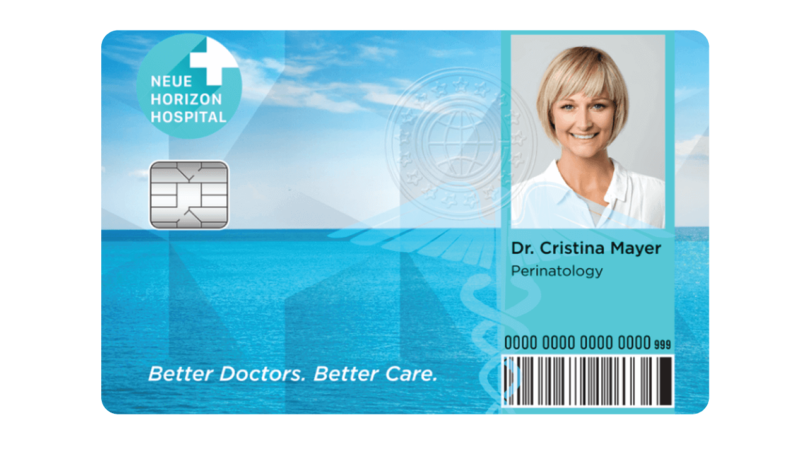 Strengthen patient loyalty with personalized cards and personalized mailings that target specific groups of people, drive frequent visitor programs and allow you to track facility and program usage. Create specialized transaction IDs for cashless payment in the cafeteria or gift shop, prepayment accounts, or flex spend stored value cards.